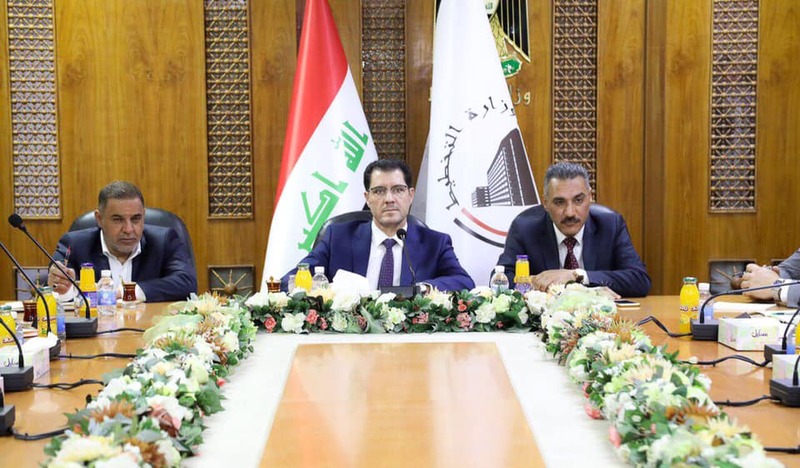 The Minister of Planning, Dr. Nouri Sabah al-Dulaimi, on Monday chaired an expanded meeting to discuss the results of the rural development survey carried out by the ministry in a number of Iraqi governorates and similar efforts by the ministry's teams in the next stage. During the meeting, they discussed the results of the visit of the Minister to Al-Muthanna province, in the presence of the advanced owners in the ministry, the Governor of Al-Muthanna and its chairman, a number of council members and local officials in the governorate. Dr. Nouri al-Dulaimi also discussed ways to provide financial allocations through the investment plan, the regional development program and the projects implemented by the executive management of the poverty alleviation strategy in accordance with the priorities of the services provided by these projects. Minister of Planning stressed the importance of citizens to feel the impact of these services in the near future, stressing his personal follow-up to achieve this with the concerned executive bodies in the local and central governments, as well as the use of international efforts, pointing to the continuation of his field visits to other provinces. During the meeting, they discussed the completion of vital projects in the province, mainly the project of filtering and desalination of Samawah water capacity of 5000 cubic meters, financed by the Japanese loan, the water project of the vegetables, the Muthanna reclamation project, the 400 bed hospital project, Distribution of low-cost role, within the projects to combat poverty in the province.